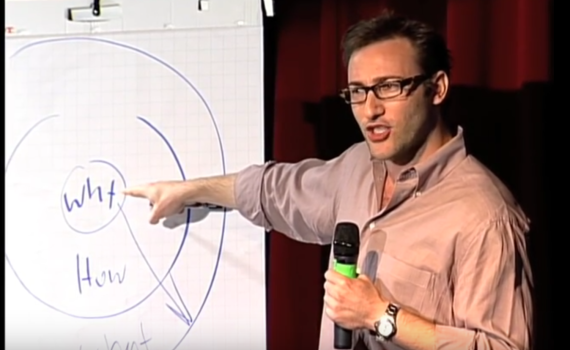 The foundational concept in Sinek’s talk, and later book, is when communicating with the audiences whom you want to think, feel, know, or do something, don’t start with what you do, but why you are doing it. This concept is seemingly simple, yet at the same time revolutionary. Regardless of the industry, more and more we see organizations starting with WHAT, touching on HOW, and often forgetting to speak about WHY. But based on what we know to be effective, and what recent discoveries in neuroscience have told us, we as human beings respond to the WHY far more powerfully than we do to the WHAT. I have worked primarily with nonprofits, NGOs and INGOs, educational institutions, start-ups, faith-based organizations, and social action movements. The WHY for these organizations is often very clear: There is a problem in a community or in the world, and we need to do something to fix it or help those who are suffering because of it. The WHY, in theory, should be constantly communicated and reinforced by the organization. However, often this can become a double-edged sword. I have found when I have worked with organizations like this on particular projects or even on how the organization speaks about themselves the WHAT tends to dominate. Or the WHY gets buried under the larger context of defining the problem and connecting it to the proposed solution (a.k.a. the WHAT). I studied international affairs, and in doing so learned the dangers of oversimplifying a complex problem in the world to create a simple, easily digestible, but ineffective solution. It can cause even more harm than good. But how do you then balance the need to properly define the problem and starting with the WHY? The key, as Sinek states, is to start with WHY—what the larger problem is—and then adding the definition in explaining the WHAT. Simple right? Theoretically yes, but only if you don’t end up buried in battle to find or justify the most effective WHAT. The WHY is the vision and mission. The WHY is what gets people to show up every day to do this work for the world. The WHY inspires people to take up the cause. And finding a way to communicate the WHY does not negate the search for the most effective WHAT. It is just the starting point, in Sinek’s words, to inspire people to take action.